It’s a proven, scientific fact that bacon makes everything better (isn’t it?). But what makes bacon itself better? I think I might have the answer. 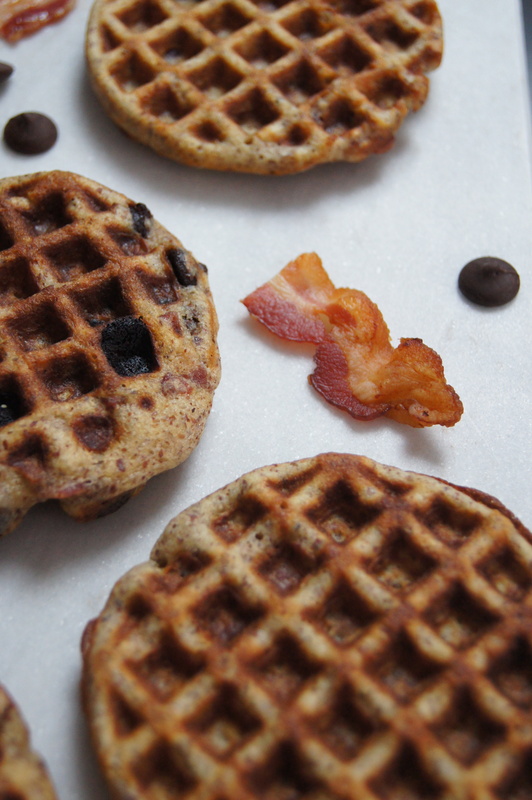 When I taste-tested the bacon chocolate chip waffle it was a great balance of sweet and savory. And when the balance between the two is right I like to refer to it as epicness. The instructions call for whisking the egg whites and I did it by hand. I did push presses yesterday and thrusters today, so after about a minute I realized I should have used my hand blender. 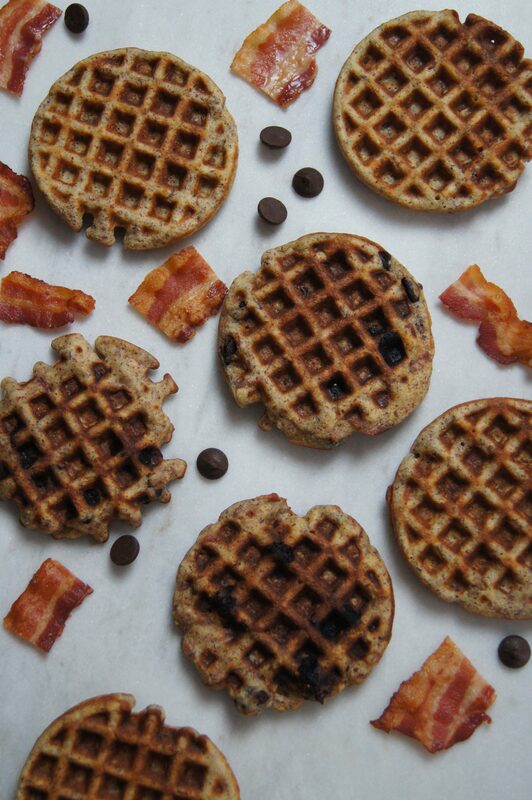 But that’s okay since these waffles are totally worth it. 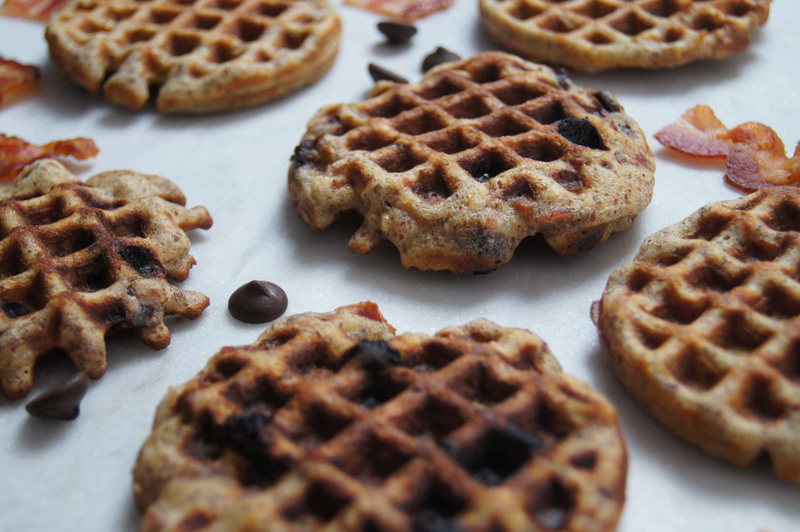 These waffles are perfect for breakfast, but also just as good for lunch or a snack. You can easily make up a batch of two ahead of time and toast them up whenever you’re ready to enjoy them. They also make for a good cure to hangriness. You can eliminate the need to throw people across the room with your mind (I’m looking at you Eleven). 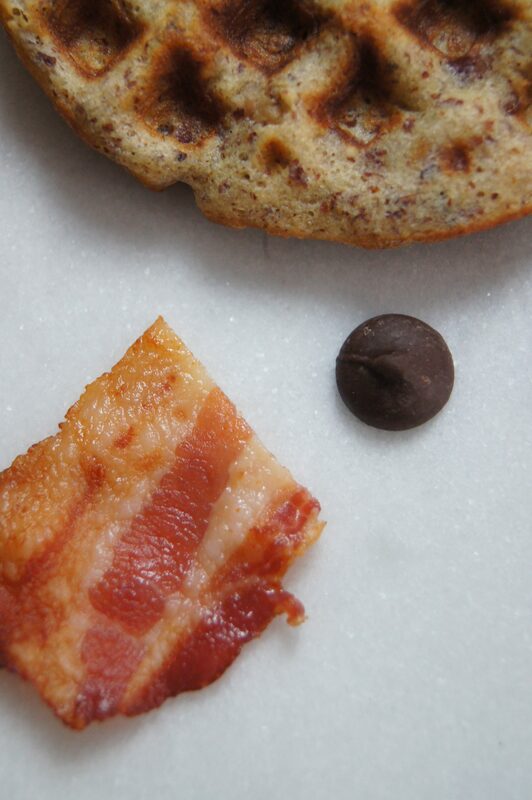 Spread bacon in a flat, even layer on a baking sheet and bake for 15 minutes. When done, drain bacon a paper towel-lined plate. Once the bacon is drained, cut into small pieces. In a separate medium bowl, whisk egg whites until they form moist, stiff peaks. Fold about 1/4 of egg whites into batter. Fold batter into remaining egg whites in three parts. Add maple syrup, vanilla, bacon, and chocolate chips. Mix well. Spray the waffle iron with non-stick spray and scoop batter onto the waffle iron.